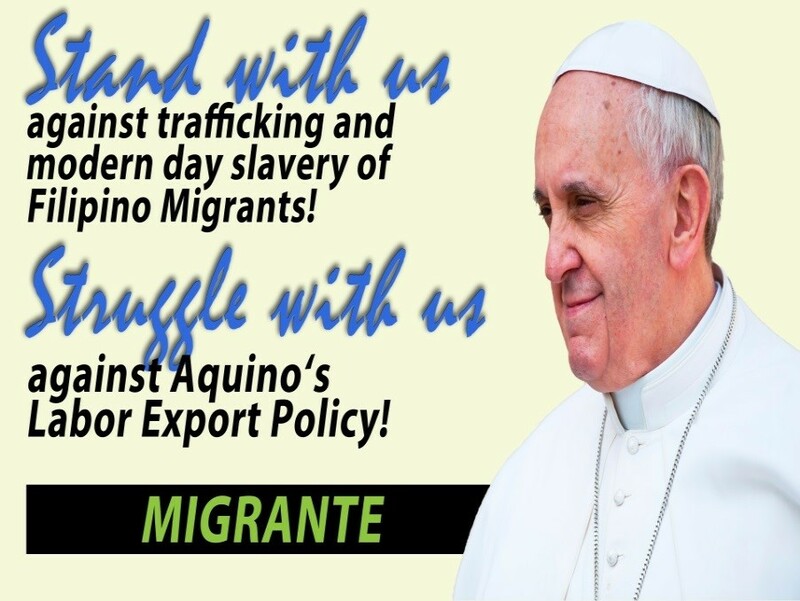 Global alliance of overseas Filipinos expressed tremendous gratitude to Pope Francis for acknowledging the real plight of overseas Filipinos workers (OFWs) and their families. In his speech delivered in Malacanang, Pope Francis made mention of OFWs and the Filipino diaspora. The Pope said that he “cannot fail to mention” the OFWs “who are often neglected and whose contributions to society are not fully appreciated”. The Holy Father also said that the Filipino diaspora is “helping the life, culture and religious heritage” of other countries. “Thank you very much, Pope Francis, for hearing our cries! Thank you for speaking in behalf of the 15 million overseas Filipinos all over the world who are being neglected, abused and exploited and abandoned by the Aquino government. Filipinos all over the world are overjoyed and empowered to further fight for our rights and to struggle for genuine social justice so that our common endeavors may be realized,” said Garry Martinez, Migrante International chairperson. “One of the main reasons of Filipino families being torn apart is the phenomenon of forced migration. 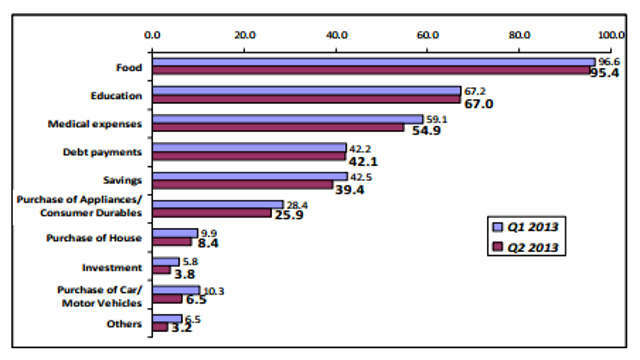 Our OFWs are separated from their families because of desperation and the need to survive. Pope Francis, who hailed from a family of migrants, knows this by heart. We agree with the Pope that what we should strive for is a ‘society of authentic justice, solidarity and peace’, something that is very far from what we have now which is a society of corruption, greed and conflict under the Aquino administration,” Martinez said. The migrant leader said that he hopes the Pope’s statement will “open new doors and networks among churches and their brethren for the promotion and protection of the rights of Filipino migrants and their families around the world”.